The very first step in assembling a wire harness is to cut the wires to the desired length, usually done by a special wire-cutting machine. After this, the ends of the wires are then stripped to expose the core of the wires. The next step is to fit the wires with any required terminals or connector housings, which come in many different sizes and specifications. Lastly, the wires are assembled into a harness, involving either a workbench or assembly board which must be set up according to design specifications. Wire assemblies can be made by hand or machine – each method requiring many different process. These include routing and inserting wires through sleeves, taping the wires, crimping terminals onto wires, fastening strands with tape, clamps, or cable ties, etc. Because there are so many intricate steps involved in designing and manufacturing wire harnesses, many of the processes are still done by hand or semi-automatic machinery. If you’re not sure how wire harnesses and wire assemblies are designed and manufactured, the good news is – we will do it for you. Some wire harnesses are very simple – just two wires with basic terminals on the end. Other wire harnesses are much more complex and involve multiple wires, connectors and terminals. Depending on what type of harness you require, there are many factors to consider: conductor sizes, stranding sizes, conductor color, etc. We offer a wide variety of simple or complex wire harnesses and wire assemblies designed and manufactured for your specific needs. Meridian Cable has all the equipment needed to process wire harnesses to any degree of accuracy, from basic hand tools to semi-automatic machines to fully automated systems. Wire harnesses are small and light, which makes them easy-to-use and operate. 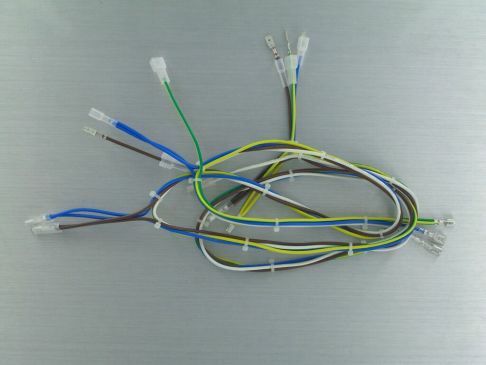 However, wire harnesses often need custom-designed shapes in addition to all the other elements: sheathing, mechanical fastening and over-molded connectors, grommets or strain reliefs. 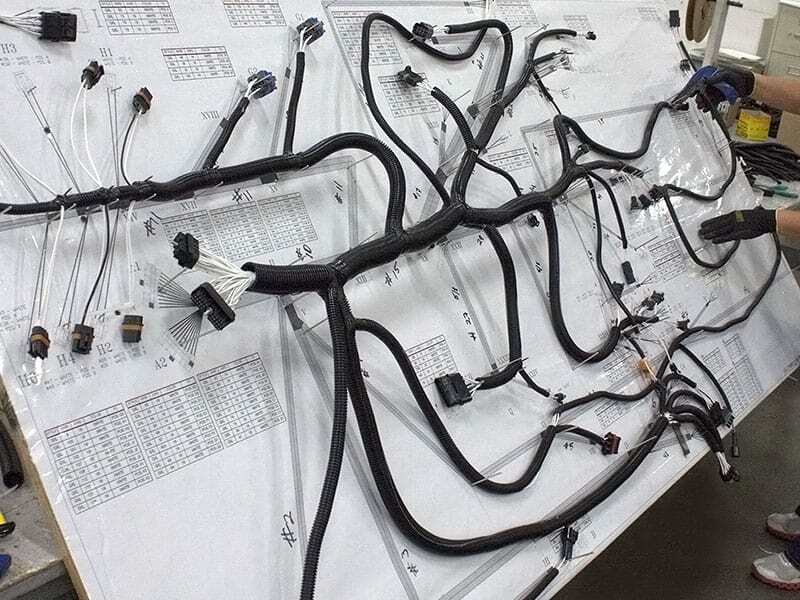 We have the capacity to custom design even the most complex of wire harnesses. At Meridian Cable, all of our manufacturing facilities are UL certified. Safety is, after all, our number one priority. When it comes to designing and manufacturing wire harnesses and wire assemblies, we don’t cut any corners or sacrifice any quality; we design and manufacture only the highest of quality wire harnesses and wire assemblies to the highest of safety standards. Improperly insulated or connected wire harnesses are hazardous, and can lead to injury or even fatality. Indeed, wire harnesses are designed according to very specific geometric and electrical requirements which, if improperly followed, can lead to malfunctioning harnesses.